The following post is written by Roger Conrad. If you’d like to guest post on the Dividend Ninja, be sure to check out our Guest Posting Guidelines. 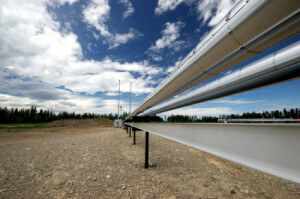 Potential shortage of oil pipelines? Sometime early in the next decade the US will overtake Saudi Arabia as the world’s most prolific producer of oil. That’s according to the US Energy Information Administration. The key is new technology that’s unlocked vast reservoirs of oil and natural gas heretofore trapped under shale. And it’s spurred a production boom in Canada as well from previously untapped areas such as the Cardium Formation, the Duvernay Shale and the Montney Shale. The North American energy explosion has the potential to enrich scores of individual companies and their investors as well as to provide an immense economic benefit to the US and Canada. There’s just one problem: Rising production to date has run well ahead of the ability to get the energy to market. Simply, most of today’s prime areas of energy production from shale haven’t been drilled in the recent past. As a result they lack adequate pipelines, gathering systems, processing centers and storage facilities to handle the surging output. The upshot is a growing amount of North American oil and gas is effectively landlocked. And until the needed energy midstream infrastructure is built producers’ only recourse will be to ship via more expensive alternative means such as railroads, barges and trucks. That, in turn, means oil and gas produced in some regions now sells at vastly discounted prices to traditional benchmarks, such as West Texas Intermediate crude (WTI) in North America and global standard Brent crude. And it’s likely to continue to at least through 2013. Over the past 12 months WTI crude has traded as high USD110 a barrel and as low as USD77 and change. WTI’s recent level of roughly USD96 is about a USD20 per barrel discount to the price of Brent crude. This spread has widened in recent years for one major reason: the rapid surge in US oil production coupled with inadequate pipeline capacity to move oil from the Cushing, Oklahoma, hub, where WTI’s price is determined, to the refineries on the US Gulf Coast, where oil can be exported and therefore sold at least closer to the higher Brent price. 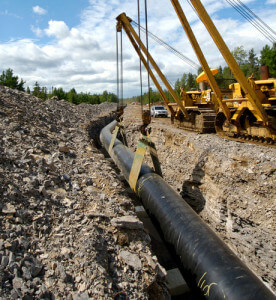 The reversal and expansion of the Seaway pipeline–a project run by Enterprise Products Partners LP (NYSE: EPD) and Canada’s Enbridge Inc (TSX: ENB, NYSE: ENB)–promises to alleviate some of the bottleneck. So will the southern leg of TransCanada Corp’s (TSX: TRP, NYSE: TRP) Keystone XL pipeline. Nonetheless, it will take time to build enough shipping capacity to significantly narrow the spread. And until the spread narrows companies that sell their oil based on the WTI price will profit less than those that produce and sell outside North America. Price differentials for natural gas are even more extreme. Production has exploded thanks to shale technology. But supply is all trapped in North America, owing to the fact that virtually all the liquefied natural gas (LNG) processing facilities are geared for import rather than export. Tackling this glut are some 15 projects now in progress to enable LNG exports. Even the most advanced, however, don’t project shipping gas before 2015. That means North American producers will have to continue selling gas at prices far below those in global markets. This week, for example, natural gas in the UK sold for USD10.37 per million British thermal units (MMBtu) versus just USD3.30 in North America. Gas in Asia routinely sells in the teens. Most dramatic of all are the differentials between Canadian and global prices for oil and gas. That’s in part because much of Canada’s oil is “heavy.” But mainly it’s because transportation infrastructure is even less adequate. The vast majority of Canadian heavy oil winds up at the Cushing hub, where it’s bottlenecked with already glutted US oil. And that’s after traversing an even more congested network just to get there. We’ve already seen some enormous spreads between US and Canadian natural gas prices. Last spring, for example, the benchmark contract on the New York Mercantile Exchange briefly dipped south of USD2 per MMBtu. Alberta gas prices, however, reportedly dipped below a buck. Now the same thing has happened in the oil market. The price of Western Canada Select (WCS)–the region’s benchmark–recently sank below USD60. That’s USD30 less than WTI and barely half the Brent crude price. As in the US, there are numerous energy transportation projects underway to move this landlocked energy to market and restore balance to prices. That’s billions of additional revenue for builders and If Canadian producers are suffering from record price differentials, energy midstream companies are lining up to ease their pain by launching massive construction projects. The venture most often in the news is TransCanada Corp’s proposed 1,700-mile Keystone XL pipeline. The southern leg of the pipeline to run oil from the Cushing hub in Oklahoma to the Gulf Coast is already 45 percent completed and should continue rapid progress now that the company has settled its disputes with protesters. The northern leg has won approval from the state of Nebraska and is waiting on a ruling from the US State Dept. Keystone appeared to be steaming along to approval before running into election-year reality. It seems clear that President Obama didn’t want to risk alienating either environmental groups that oppose the pipeline or labor unions that support it. With the election in the rear-view mirror, I expect approval to follow, despite the fact that new Secretary of State John Kerry is seen as a hawk on global warming. If Keystone is approved, it will still be several years before the pipeline system begins to bring oil south and thereby alleviate the bottleneck that’s behind oil-price differentials. If it’s rejected there will no doubt be a negative reaction in TransCanada’s stock price. That, however, will be a golden time to buy the stock. TransCanada is an invest-to-grow story, and it has myriad projects that could take the place of the USD5.3 million northern Keystone project. One of these is a plan to convert an existing natural gas pipeline to carry 850,000 barrels of oil a day from western to eastern Canada. That will keep cash flow and the dividend growing for years to come. Readers what’s your take? Bullish on energy stocks and the energy sector? 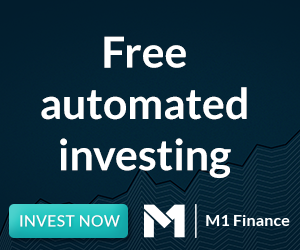 Roger Conrad is the Chief Investment Strategist of Investing Daily and an authority on utility stocks and dividend investing. There is a big difference between a junior oil and gas producer, such as Pengrowth, and a big utilities and pipeline company like Enbridge or TransCanada Corp. Husky Energy and Imperial Oil among others come to mind. I wouldn’t write off the entire energy sector. I, for one, am certainly bullish on energy stocks and the energy sector. But this is uttering the direction, without specifying the address… The author seems to indicate that TransCanada should be the chosen stock, particularly if Keystone XL is rejected ! Yet, in all likelihood, in my view, Keystone will be approved, albeit belatedly and reluctantly. Generally though, many oil stocks move in the same direction, and often almost at the same speed. Maybe niceties do not matter that much, provided speculative stocks are avoided. In practice, very many oil stocks haven’t done much in the past five years. The winning investors in the sector seem to have been those with good dividends. Transcanada just reported earnings of 45 cents, and raised its dividend to 46 cents. Revenues and earnings are down. It’s payout ratio is above 100%. Yet, the P/E is still a very high 25. Most of these companies have increased dramatically in value over the last 10 years, but it is hard to see where the earnings growth will come from to justify the high valuations. I’m a believer in the assets, but not owning assets at any price. I can see investing in pipelines and utilities but I’d be cautious about producers. The environmental risks of horizontal drilling and shale gas frac’ing are significant and could result in some major shakeups over the next 10 years. I always thought that if the U.S. and Canada ever ban NG fracking, due to its devestating environmental impact, NG would become a scarce commodity. Sometimes the best value plays are when the news is the worst – but it takes an iron stomach. These producers could do very well in the long term. Think back to Uranium after the Japanese earthquake. I wasn’t really thinking of them banning the techniques, so much as the costs of trying to retroactively fix problems caused by early techniques. The liabilities could bring down some companies while letting others rise. OTOH there are still thousands of very old vertical wells that are not properly abandoned all over AB and BC, so who knows how long it will take for some of this stuff to impact stock prices, if it ever does. And as you say there are still so many excellent safer stocks to buy into, there’s no need to rush into the high risk ones. Bear in mind some of these abandoned wells were drilled when ng price was around $10.00 now that it has been in the 3-4 range they are not profitable at this time. However in future they can be brought back online instead of completely redrilling at a far lower expense.